Lichter has published widely on topics in population and public policy, including studies of concentrated poverty and inequality, intermarriage, cohabitation and marriage among disadvantaged women, and immigrant incorporation. His recent work has focused on changing ethnoracial boundaries, as measured by changing patterns of interracial marriage and residential segregation in The United States. He is especially interested in America's racial and ethnic transformation, growing diversity, and the implications for the future. His other work centers on new destinations of recent immigrants, especially Hispanics moving to less densely-settled rural areas. Lichter is a member of the research advisory board of the National Campaign to Prevent Teen and Unintended Pregnancy. He is also a policy fellow of the Carsey Institute at the University of New Hampshire, and a member of the poverty working group (on race and ethnicity) at the Stanford Center of Poverty and Inequality. He is currently serving as a member of the National Academy Sciences panel on "The Integration of Immigrants into American Society." "Working Poverty is a Widespread but Under-analyzed and Poorly-measured Problem in the U.S.," Daniel T. Lichter (with Scott R. Sanders and Brian Thiede), LSE American Politics & Policy Blog, September 24, 2015. Daniel T. Lichter's research on how to lift the working poor out of poverty discussed in "Most of America's Poor Have Jobs, Study Finds," EurekAlert, June 25, 2015. 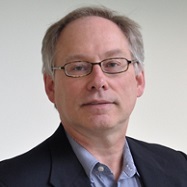 Daniel T. Lichter's research on children of impoverished immigrant parents discussed in H. Roger Segelken, "Newborn in the U.S.A., 'Well behind the Starting Line'," Cornell Chronicle, May 12, 2015. Daniel T. Lichter quoted on stigma associated with interracial couples in Kelsey Clark, "Interracial Marriages on the Rise, but Social Stigmas Persist" Deseret National News, September 26, 2014. "Rural and Urban: Across the False Divide," Daniel T. Lichter (with David L. Brown), The Daily Yonder, July 16, 2014. "U.S. Far from an Interracial Melting Pot," Daniel T. Lichter, CNN, June 16, 2010. "The Increasing Diversity of America's Youth," (with Kenneth Johnson, Andrew Schaefer, and Luke Rogers), The Carsey Institute at the Scholars' Repository, 2014. Argues that America’s growing racial and ethnic diversity occurs from “the bottom up” – with children and youth first. "People and Places Left Behind: Rural Poverty in the New Century" (with Kai Schafft), in Oxford Handbook of Poverty and Society, edited by David Brady and Linda Burton (Oxford University Press, 2015). Identifies six distinguishing features that separate rural and urban poverty patterns in the United States, Europe, and the developing world. "Spatial Assimilation in U.S. Cities and Communities? Emerging Patterns of Hispanic Segregation from Blacks and Whites" (with Domenico Parisi and Michael Taquino). Annals of the American Academy of Political and Social Sciences 660 (2015). Documents changing patterns of Hispanic segregation over the 1990-2010 period in areas of concentrated Hispanic settlement, including new immigrant destinations and rural areas. "The Buffering Hypothesis: Growing Diversity and Declining Black-White Segregation in America's Cities, Suburbs, and Small Towns?" (with Domenico Parisi and Michael Taquino). Sociological Science (2015). Argues that black-white segregation has declined along with white depopulation in response to increasing racial and ethnic diversity across the nation’s urban hierarchy. "Cohabitation, Post-Conception Unions, and the Rise in Nonmarital Fertility" (with Sharon Sassler and Richard Turner). Social Science Research 47 (2014): 134-147. Documents the rise in so-called “shotgun cohabitation” in America and the rising share of all nonmarital births to cohabiting couples. "Integration or Fragmentation? Racial Diversity and the American Future" Demography 50 (2013): 359-391. Highlights the challenges that America faces as it moves inexorably toward a majority-minority society by 2043.